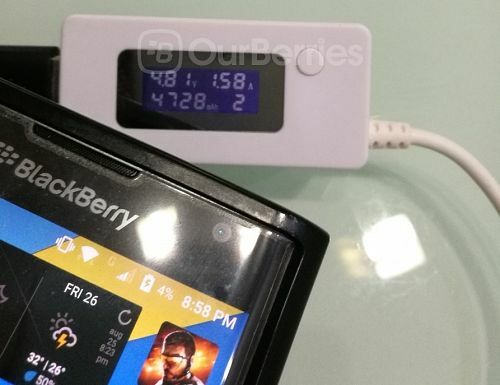 When the BlackBerry Priv first came out, BlackBerry too released a series of accessories including the BlackBerry MP12600 and BlackBerry Rapid Charger (RC-1500). Today, we will be looking at the former, the BlackBerry Mobile Power 12600. 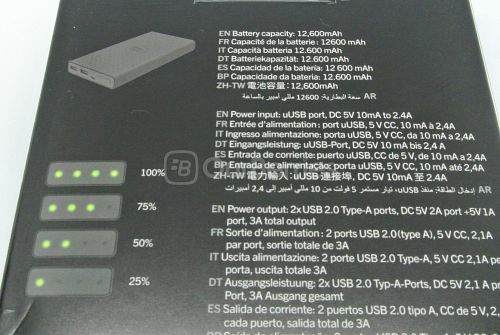 This is essentially a large powerbank, and it is BlackBerry’s largest to date at 12,600 mAh and able to provide substantial juice for any device. 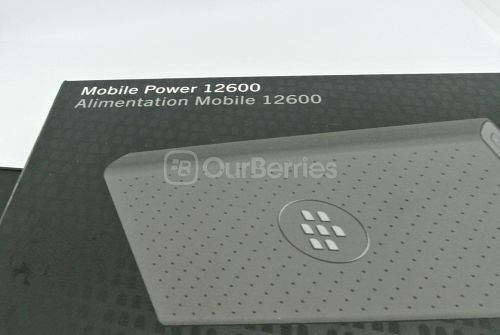 The BlackBerry Mobile Power 12600 comes in a standard black box that really just has a small wooden holder that holds the powerbank in place and a paper manual. There is unfortunately, no cables built in nor provided in the box which means that you have to use your own cable to charge the device or the powerbank. 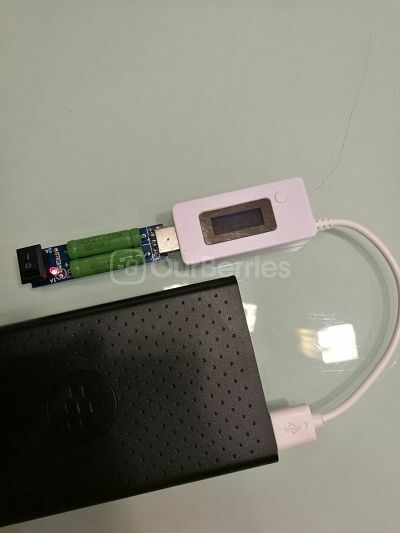 Unlike most of the powerbanks in the market, the BlackBerry MP 12600 is not built with a metal enclosure but rather, tough ABS plastic enclosure, that is not smooth either – the top has dotted grip in addition to the embossed BlackBerry logo. 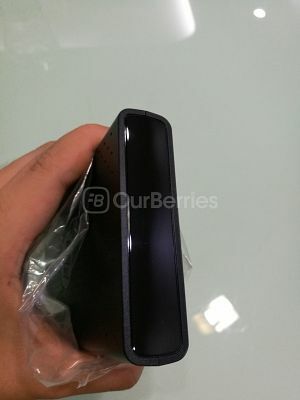 The BlackBerry front and back panel too are plastic, and BlackBerry went with the use of a glossy surface that is very prone to scratches and fingerprints. In addition, as it does not come with a pouch/carry case, signs of wear and tear appears pretty quickly on the charger. 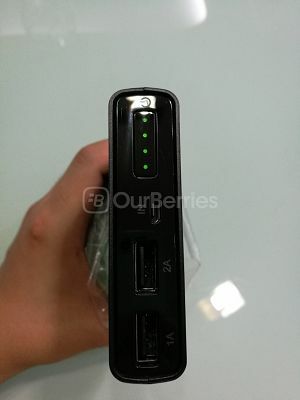 The BlackBerry MP 12600 front too uses a glossy panel with a simple plastic button for turning the powerbank on. The button, too, acts as the power indicator, to tell you how much power is left. There are 4 indicators, with 4 lighted indicating 75-100%, 3 lighted indicating 50-75%, 2 lighted indicating 25-50% and of course 1 lighted indicating 1-25% of power left. 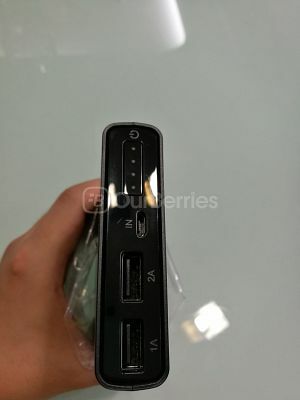 The front of the powerbank also holds the charging input, using a microUSB cable and 2 usb ports for charging other devices. Like most devices, the 2 ports serves different purposes. The middle port, allows a charge of up to 2A (higher speed) whereas the port that is outer only allows up to 1A (slower). Here, we have loaded the MP12600 with a 1A load on the 1A port and it takes it on comfortably. Here we tried to load 2A onto the 1A port, but it just failed to power up. Here, we have loaded the MP12600 with a 1A load on the 2A port and it takes it on comfortably as well. Here, we have loaded the MP12600 with a 2A load on the 2A port and it takes it on comfortably as well. And the BlackBerry MP12600 charges the BlackBerry Priv properly. 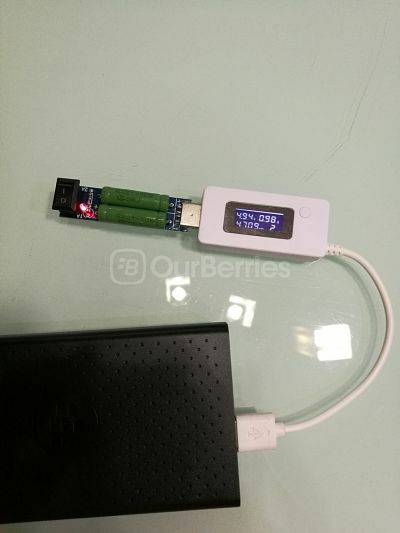 The BlackBerry MP-12600 powerbank is quite heavy, at 333grams, and large too in comparison to other brands. You can take a look at our comparison shots of the MP-12600 against other brands such as the Cheero Power Plus 3 13400 mAh powerbank or the Xiaomi 5000mAh, 10000mAh, 10400mAh and 16000mAh powerbanks or the Anker PowerCore 20100mAh powerbank on our Facebook page. 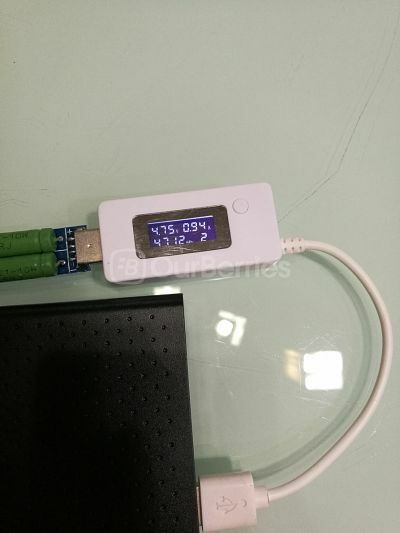 All in all, whilst it is not the most portable powerbank available, there is no doubt of its solid build and quality although if it would have been better should it not be so glossy. 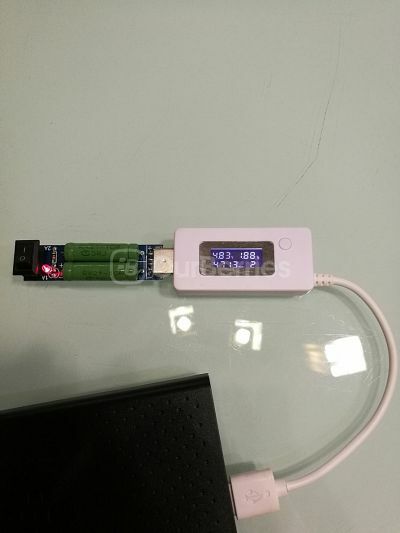 As we are told, this is built with powerful 18650 Lithium-ion batteries such as those used in the solid Anker PowerCore or Cheero Power Plus 3 powerbanks, and not the Lithium-polymer (or sometimes called Lithium-ion-polymer) batteries that are single cell based and would expand after a period of use. These batteries (lithium-ion) too typically lasts longer than the Lithium polymer based (for example those used by XiaoMi 5000mAh or the XiaoMi 10000mAh Gen 3 [with Quick Charge] powerbank) batteries. 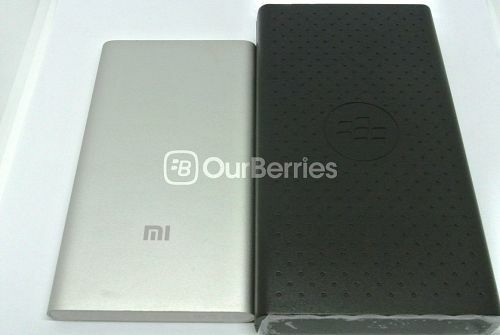 This Christmas, we have 3 of these solid BlackBerry MP-12600 Powerbanks (Worth USD$59.99) to giveaway. All prizes are sponsored solely by OurBerries. OurBerries Decision on the winners are final. Giveaway is open to users in Singapore ONLY. All prizes are inclusive of SingPost Normal Mail. Prize winners must be on OurBerries BBM contact list in order to redeem the prize. One prize per person only.